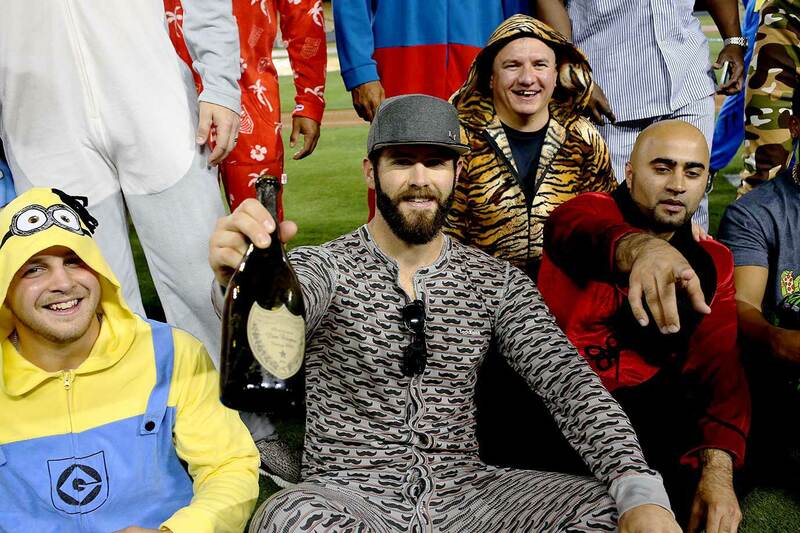 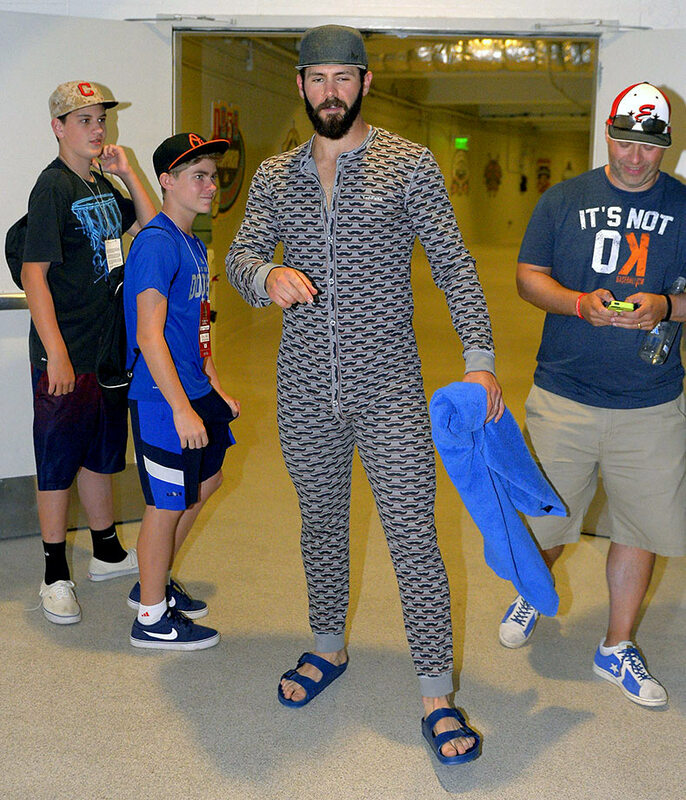 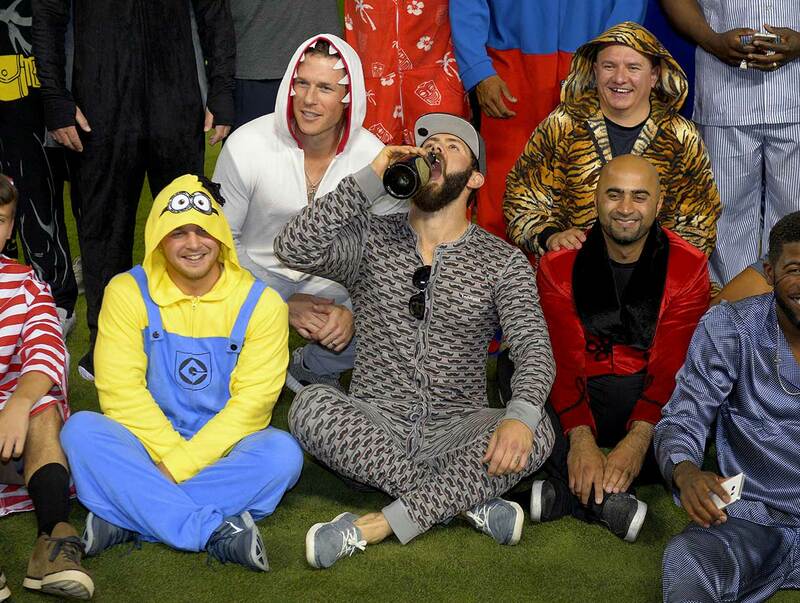 After Jake Arrieta was lights-out on the mound — pitching his first career no-hitter and striking out a season-high 12 — he and his Cubs teammates were ready for lights out, slipping into pajamas (mostly onesies) for the overnight flight home to Chicago from Los Angeles. 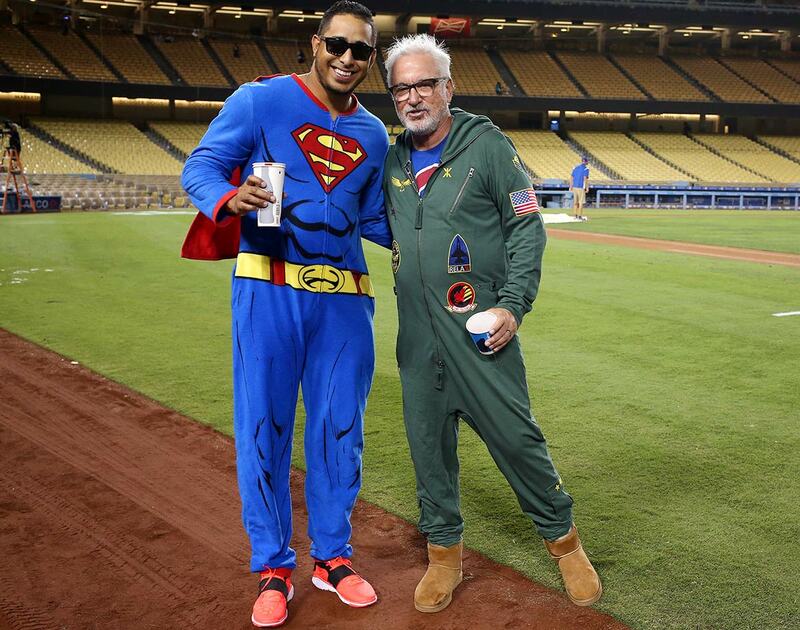 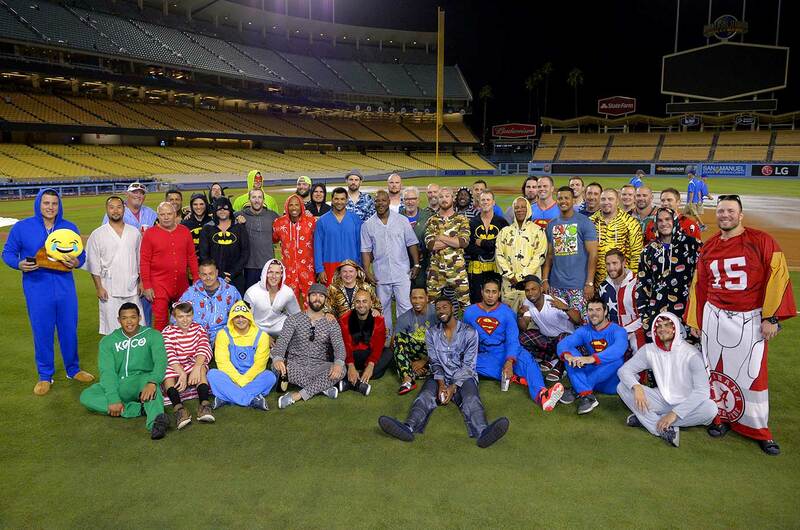 The kiddie attire was suggested before the game by manager Joe Maddon, one of his colorful apparel themes to build team unity. 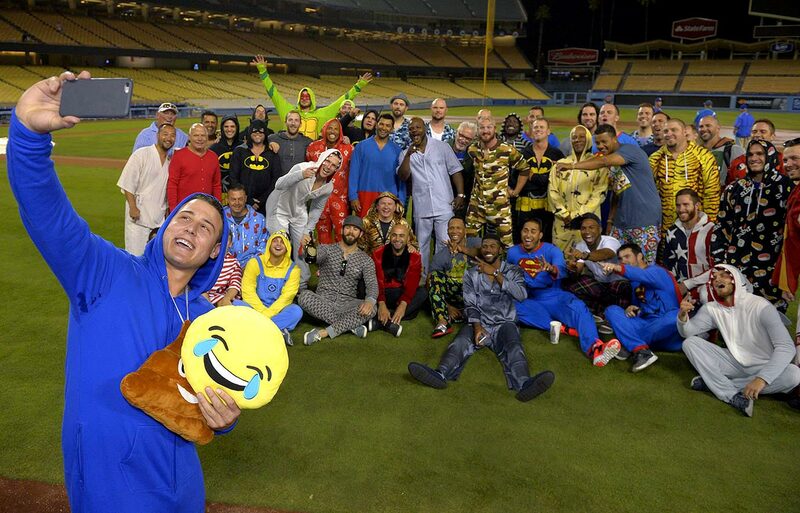 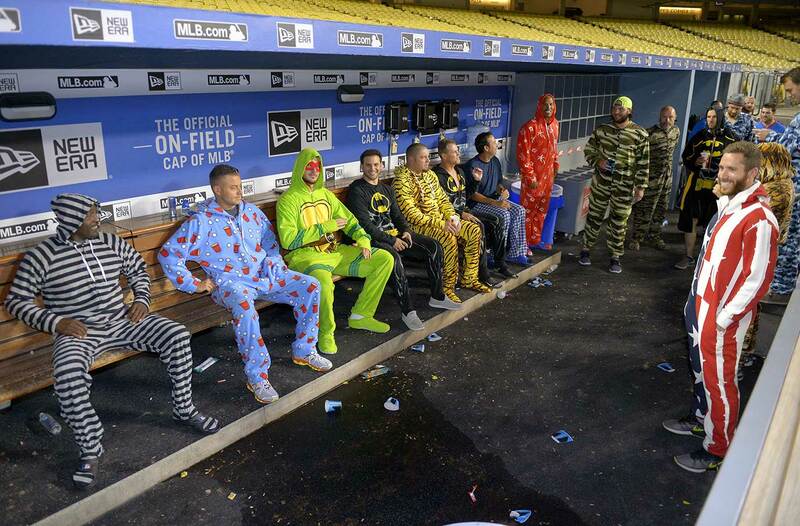 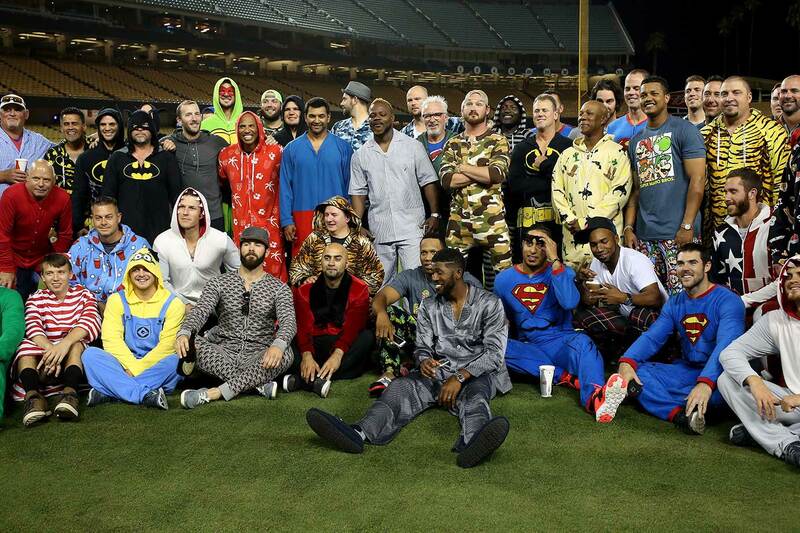 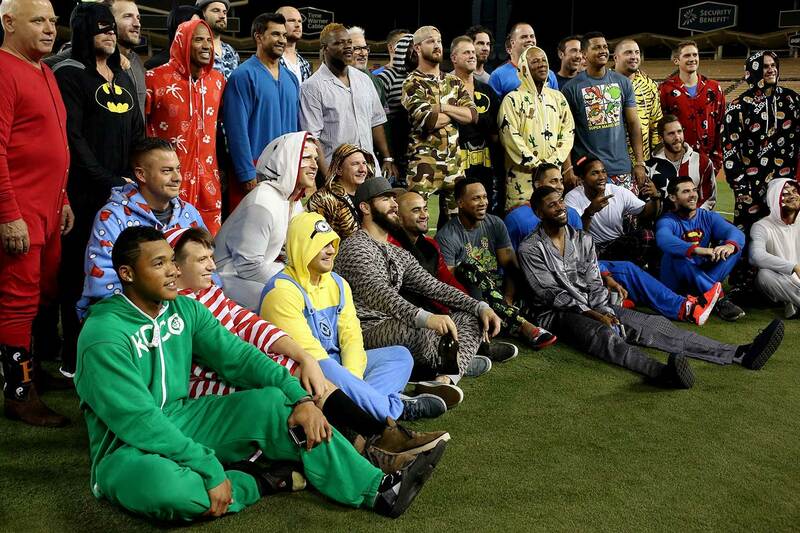 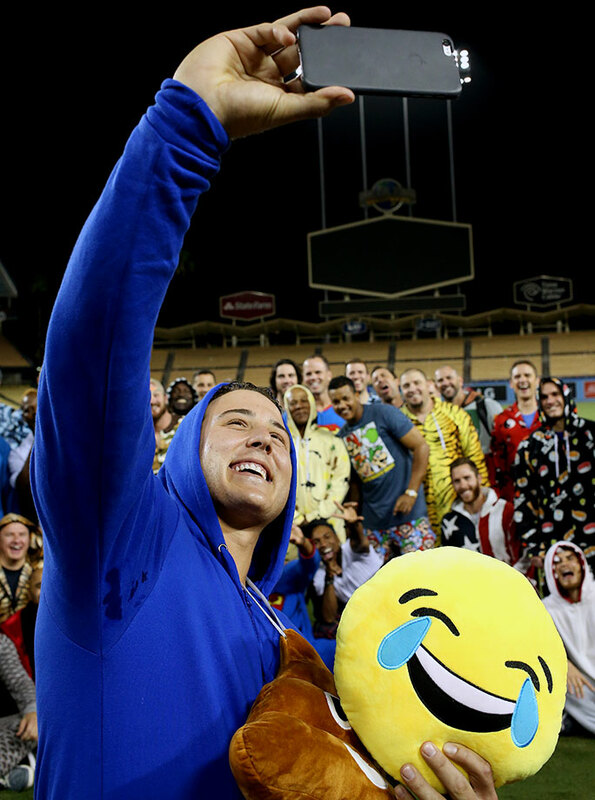 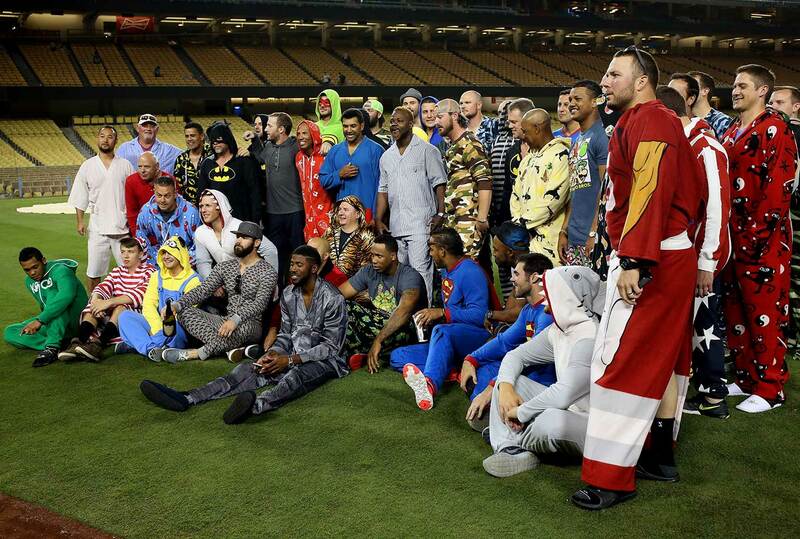 The Cubs embraced the goofiness an hour after the final out, coming onto the Dodger Stadium field in their brightly colored PJs to pose for photos.